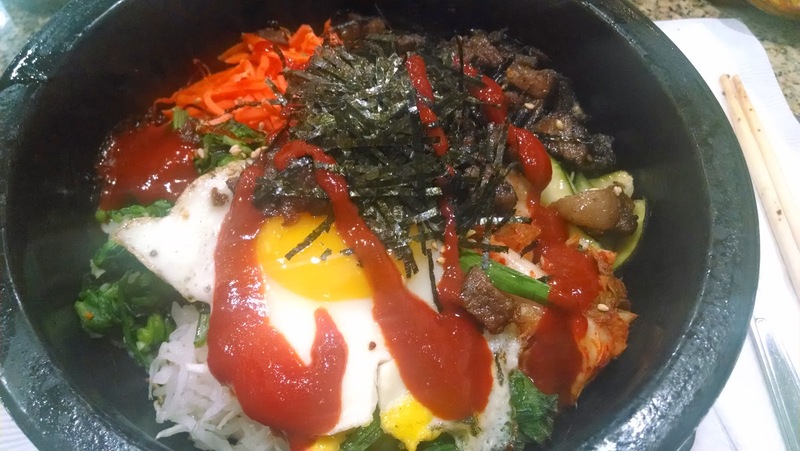 Bibimbap is a Korean rice dish served with a rainbow of marinated vegetables, meat and topped with a fried egg. The rice develops a nice crunchy layer from being served in a sizzling stone bowl hot enough to give you blisters if you touch it. Located just off of Vermont Ave., Jeon Ju serves the best bibimbap in Los Angeles...in my humble opinion. Elsewhere, you might find versions of this dish where it's served in a regular bowl (what's the point then? ), the rice is greasy from too much sesame oil or the vegetables are bland. At Jeon Ju, you can taste that each vegetable in the bibimbap (shiitake mushrooms, chives, spinach, carrots, bean sprouts, daikon, kimchi) was seasoned with care. And what makes Jeon Ju's bibimbap unique is that they have several versions and their most popular one is the one topped with bbq short rib galbi meat. Mmmmmm. The selections vary slightly from time to time. 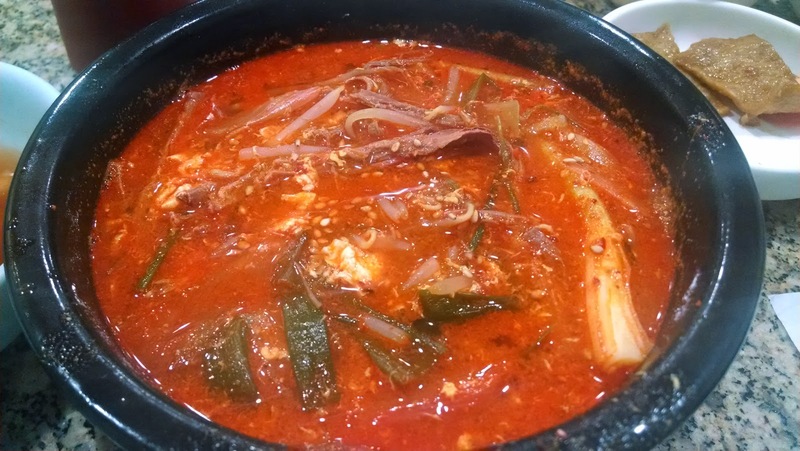 The Korean hot sauce is technically optional but you should give it a try. It's not the same without it and it's really not that spicy. Perfect for a cold day. Guaranteed to clear your sinuses! But seriously, this soup is delicious with a bowl of white rice if you can resist ordering a bibimbap. 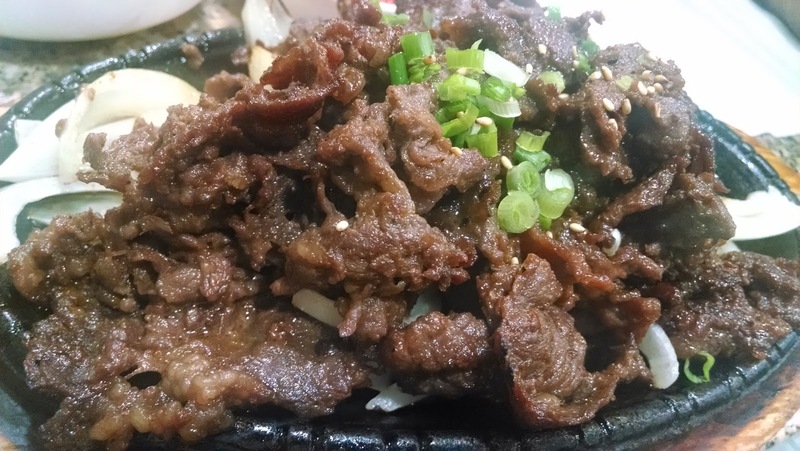 Sweet and slightly charred beef bulgogi that comes on a bed of sliced onions and sizzling hot plate. It's the perfect compliment especially if you like more meat in your meal. 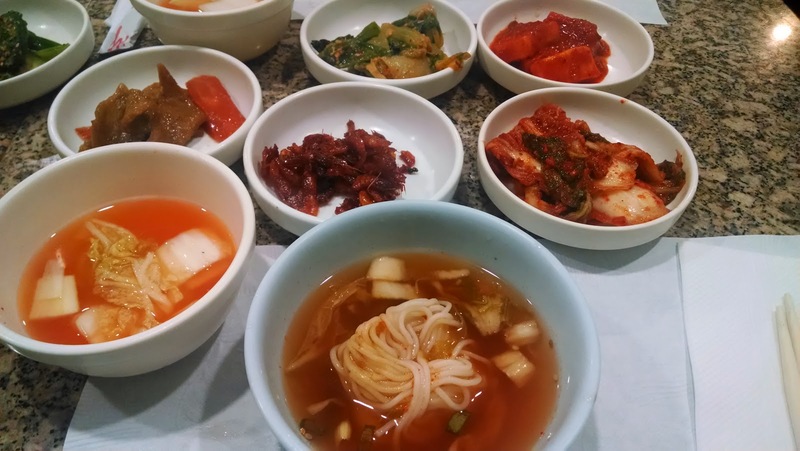 LA's Korean food is hard to beat, except I guess in South Korea. My Portland food intelligence tells me to be prepared to miss LA's Korean food badly so I recently bought two stone pots at the Korean market with the naive hope to replicate Jeon Ju's bibimbap. Hey, at least I'm trying. *Parking in the strip mall is often hard. The strip mall is on the corner of Olympic and New Hampshire. Go past the strip mall on New Hampshire and there's a backlot that always has parking. For some things, I actually prefer LA Korean food over Seoul, except for the much higher prices of course.